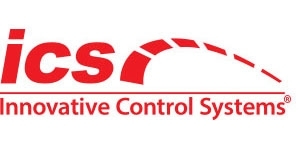 Innovative Control Systems is a global leader in car wash management systems and payment solutions. ICS serves car wash and Petro businesses in more than 30 countries. Their WashConnect® multi-site management system is the industry’s first and only solution to capture full car wash performance data from all wash segments and operations throughout Petro networks. WashConnect® is a powerful, scalable, web-enabled, management solution ideal for multi-site petro operators with car washes. It is the first and only management system that captures and reports real time performance data from all wash segments and operations across all operating levels of the network. 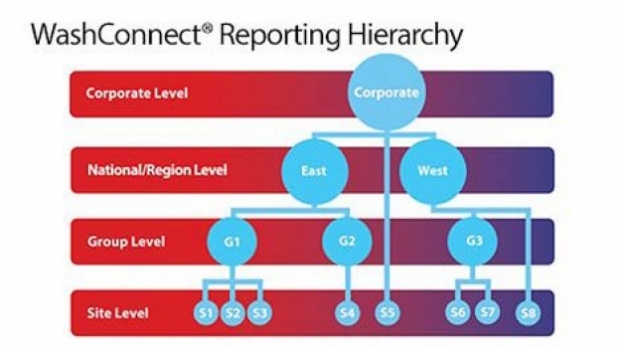 The reporting is task and role-specific and so robust that you have across all levels of your organization…from shift detail, site, group, region, nation and global corporate. 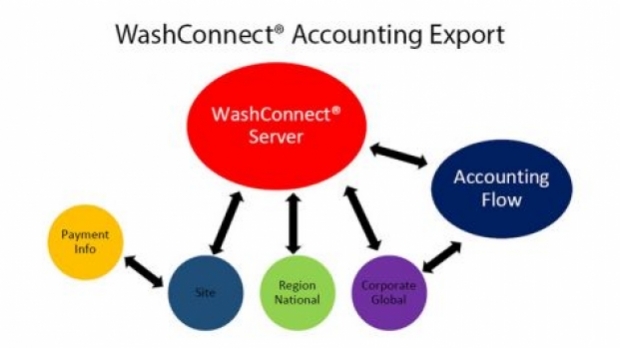 WashConnect is easily adaptable to your reporting and performance needs. This customer example reflects specific data flowing from the individual site level, rolling up to the national level, then fully aggregated at global, corporate headquarters. This company establishes marketing initiatives at the HQ global level and migrates the initiatives down to the national, regional, and individual site levels. Global operational car wash data including payment information is captured by WashConnect from all levels of your business. This information is exported to the specified accounting, controller or CFO levels of the organization. Financial managers are able to review and analyze every aspect of car wash performance data to refine improvements and migrate success strategies throughout the network. 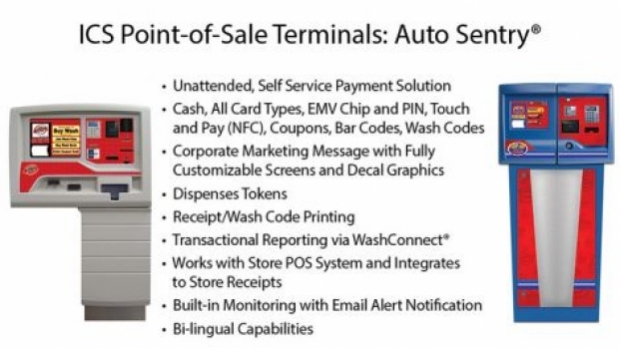 Key to the network management power of WashConnect is the ICS Auto Sentry line of unattended point-of-sale terminals. They capture all POS transactional data and report it to WashConnect. The terminals offer a range of payment options for customer convenience including credit and debit card, and touchless. Digital messaging welcomes your customers to the site and provides wash instructions, as well as special offers or upsell opportunities. The effectiveness of these promotions can be analyzed and refined with WashConnect data. Comprehensive Financial Reporting: Financial Overview Report delivers both task and role-centric reporting. Users can choose their specific reporting preferences and consolidate them to dash board viewing. Data can be drilled down from the corporate headquarters level all the way through the organizational hierarchy to individual site and work shift levels. Management can set and enforce viewing security parameters. Vehicle Statistical Performance Reporting gives operational management all the data tools necessary to analyze every aspect of wash performance. Capture cost per car wash, measure costs of power, chemicals, water used per car, per site, per time period. Users set viewing and security preferences. Inventory Management Reporting gives your procurement, supply chain, and accounting professionals total access to inventory consumption by site, region, nation, and globally. Ensure preferred partners and pricing commitments are maintained, and that purchase orders and inventory fulfillment are well managed. 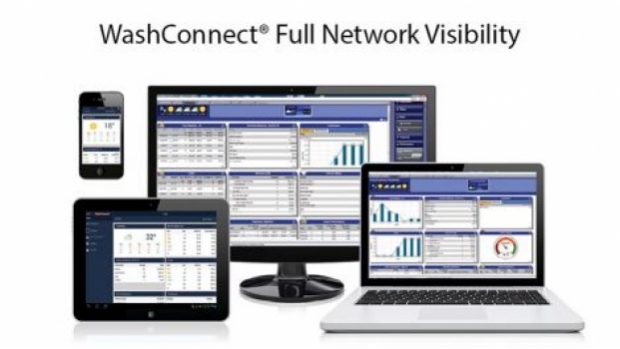 Full Network Visibility and Monitoring ensures you real time access to all reporting. WashConnect also monitors all equipment component functionality and is visible at the corporate level. You receive immediate email notification if component functionality is compromised. Comprehensive event logs assist in remote diagnostics, while error code history spots performance improvement opportunities and aids in maintenance scheduling. Reports are viewable via PC, tablet, laptop, or smartphone.